Bring out the taste in your fish with our Balsamic Glazed Salmon Fillets. 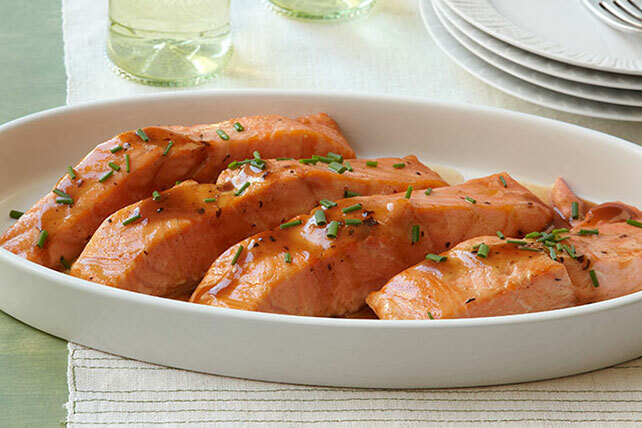 These Balsamic Glazed Salmon Fillets combine sweet and zesty taste profiles. Mix first 4 ingredients; Pour over fish in shallow dish. Turn to evenly coat fish. Refrigerate 30 min. to marinate. Heat oven to 450°F. Remove fish from marinade; discard marinade. Place fish on foil-covered baking sheet. Garnish with chopped fresh chives or green onions just before serving.